Natomas Personal Injuries. 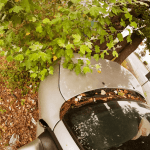 Natomas personal injuries can occur in many ways; however, traffic accidents are the most common source. About 95 percent of car crashes are attributed to driver error. This means that fair compensation can be sought in these cases if the other party to the accident behaved negligently. Through a personal injury claim, the injured individual can seek compensation for medical bills and related costs, unpaid time that was lost at work, property damage and additional expenses such as pain and suffering. The following information explores the various types of traffic accidents that can result in a personal injury claim. Half of all motor vehicle accidents happen at or near intersections but can occur anywhere. The area of impact and force can determine the types and severity of injuries that occur in any motor vehicle accident. Some vehicles such as SUVs, vans, and pickups are more subject to roll over. Because the individuals inside can be struck repeatedly from various angles, injuries may be worse. Pedestrian injuries in a motor vehicle accident are common and often serious because of the walker’s lack of protection as compared with those inside a car or truck. The extent of injuries is directly related to the speed of the vehicle that strikes them. According to the American Automobile Association, a pedestrian who is struck by a vehicle traveling at 58 mph has a 90-percent chance of dying. 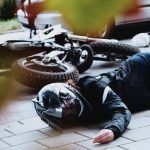 Motorcyclists face the dilemma of being both vulnerable to injuries in a collision and more difficult to spot by other motorists on the open road. Using measures such as bright colors to increase their safety and taking a course on emergency tactics when facing a collision can be helpful. It has been shown that traveling in a bike lane reduces the risk of an accident with a motor vehicle considerably and can help prevent Natomas personal injuries. However, many bicycle accidents happen when crossing streets and making turns. As with motorcyclists, visibility is key to helping prevent this type of accident. Road defects such as cracks or upheavals in pavement, potholes, along with branches that overhang signage and other negligence contribute to all types of traffic accidents. When an individual has been injured due to negligence by a government entity, they may claim compensation. 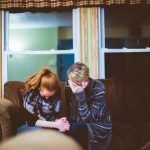 Negligence is an action that goes outside of what a normal, law-abiding person would do to keep others, as well as themselves, safe on the roads. Drunk driving is a major cause of personal injuries as well as speeding. Distracted driving, being behind the wheel of a car while fatigued and drug use are also common causes of traffic accidents. Under personal injury law in California, since it is a comparative fault state, even if the injured person was partially responsible for their accident, they are still able to claim damages, minus their percent of negligence. 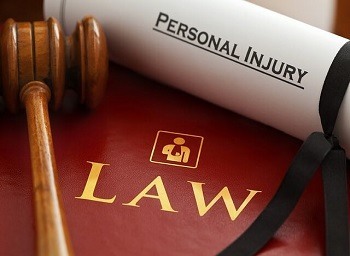 I’m Ed Smith, a Natomas personal injury lawyer. 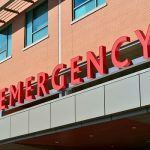 No matter the type of traffic accident or other accidents you are involved in, it can result in severe injuries, and that translates into medical expenses, unpaid time away from work and additional costs. If your collision injury was caused by another person who was negligent, you may be able to recover those expenses with the help of an experienced personal injury lawyer. For free and friendly advice, I can be contacted at (916) 921-6400 in the Natomas area. I also offer a toll-free number at (800) 404-5400 and an online contact form if that is easier for you. During my career as an injury lawyer for 36 years, I’ve helped numerous Natomas residents, as well as those from other parts of Northern California, in obtaining fair compensation in areas such as brain injuries, wrongful deaths and all types of car accidents. Million Dollar Advocates was established to recognize top trial lawyers around the country who have won a case settlement or verdict of more than $1 million for a client. I belong to this forum as a California member.